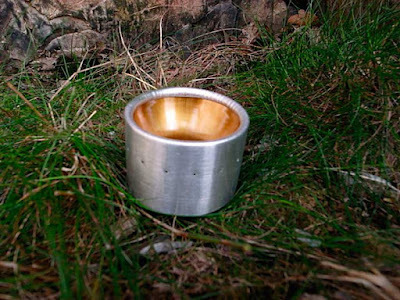 I have been looking for a good lightweight brewkit alternative to gas and the ubiquitous mini Trangia for a long time. 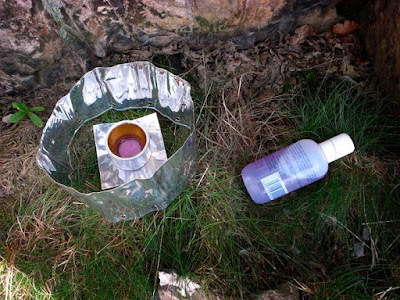 I think I have finally found it on Bob & Rose Cartwright's Backpacking Light UK website! 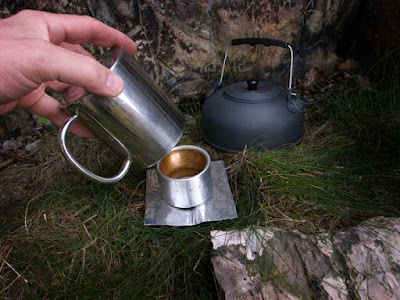 The White Box Solo and the GSI halulite kettle are a perfect match as a lightweight brew kit for day walks and paddles either side of full winter conditions. It's a simple, robust and lightweight combination that I have found difficult to beat. An ideal solution with little, if anything, to go wrong. It complements my Bushbuddy perfectly. 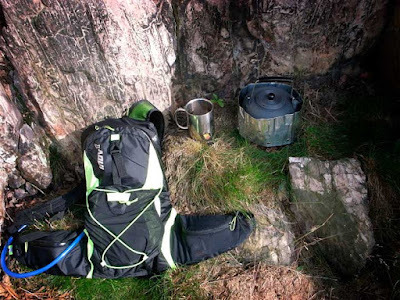 There is ample room in my Innov-8 Race Pro 12ltr sack for the kettle with stove nested inside the infuser, meths bottle, mug, windshield and firesteel, with room left over for a Berghaus PacLite smock and cereal bars. 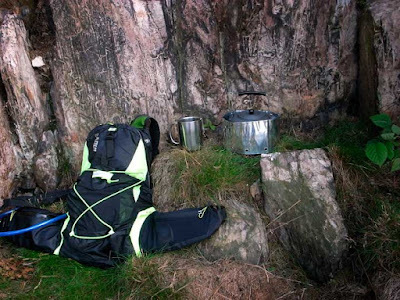 Some items of outdoor gear are so simple and efficient in design and function that they are a pleasure to use. 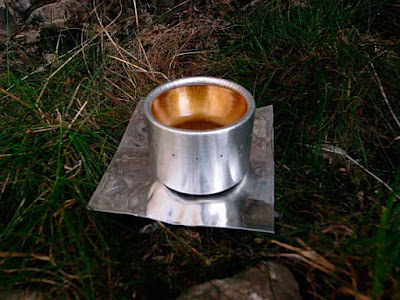 The latest version of the White Box stove is guaranteed to put a smile on the face of any dedicated alcohol stove enthusiast! It's made from the same recycled aluminium bottles as the original, but is a little shorter with a smaller fuel capacity. The lower centre of gravity is a definite advantage. ....and a windshield made of the same material which has vents punched into it and is held in place by a large paper clip. The stove needs around 45 secs to 'bloom', the jets are perfectly sized to give an astonishingly powerful output. In indoor conditions, I boiled 600ml of cold tap water (enough for two mugs of tea) in 6.5 minutes from 1.25 fl ozs of methylated spirit. The burner continued to burn for a further 1.5 minutes. Outside in a breeze it takes a couple of minutes more, but the stove seems to be more fuel efficient and faster to boil than a Trangia. White Box stoves are known to have a wide flame spread. It is not suitable for pots of less than 4 inches in diameter because the flames will curl around the outside of the pot. 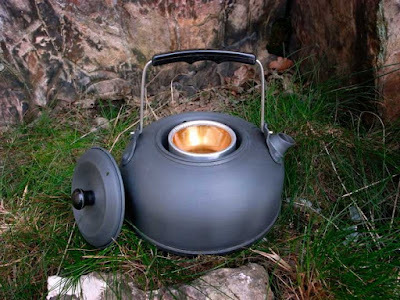 The GSI kettle is 6 inches in diameter and works perfectly. The whole of the base of the kettle is covered by the spread of the burner. 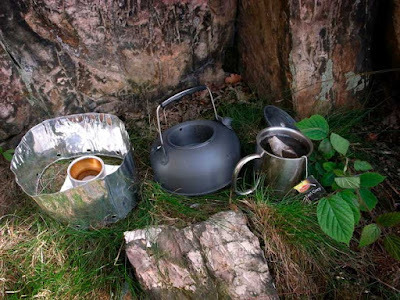 Beware if using the stove inside a tent porch, the burner will flare from the centre when the pot or kettle is removed. Tea brewing and alcohol burning at it's best! I have the original white box stove and love it. Can't realy claim to need a replacment but your review has me wanting the new model. Looks like a thing of beauty: simple, robust and functional. Still waiting for the Varmland write up with baited breath! Well they're cheap enough and you could always do with a spare, couldn't you Dave! The canoe trek in Sweden was wonderful. I'll write the trip up here when I have enough spare time. Suffice to say, I'm planning another route for next year. Just too busy at the moment to do the write-up justice. Which isn't a bad thing, I guess! Thanks for your comments. I've own the original version for a couple years without a problem. While my 16 oz camp cup is a tad small for the flame spread the wind screen concentrates the heat to the sides of the cup and I get a real fast boil time. I have no problems with using a smaller base pot/cup. Thanks, RJ. That's useful to know. I guess the handle of your cup gets hot, but that's another good use for a Buff!